A developmental screening is a series of questions about the development of a young child to help identify the presence of any delays. 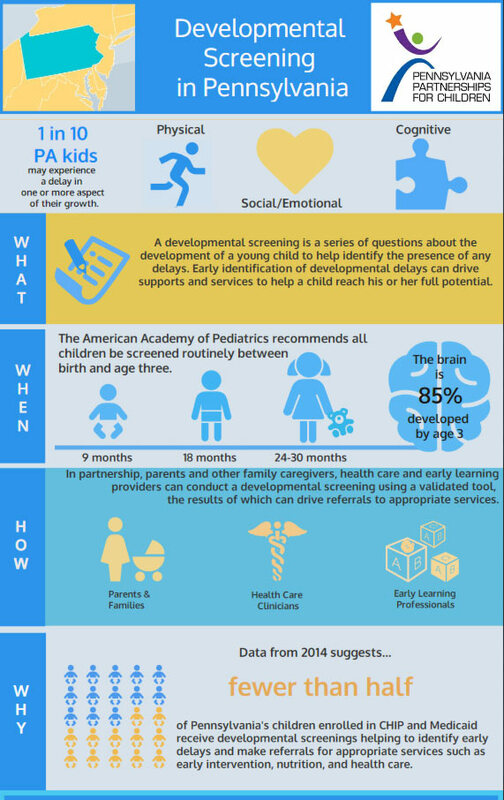 It can be an important tool to keep kids healthy, yet many Pennsylvania children aren’t receiving such screenings. 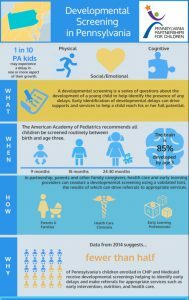 This infographic explains why developmental screenings matter.